A new way of choosing where to eat in the UK - a guide to the best and most ethically operated restaurants in the country. Of all the qualities that distinguish a truly outstanding restaurant or food experience, perhaps truth, love and care are the most important. A passion for creating food that is so good that it will never be forgotten, an environment that makes that extraordinary food taste even better, and a care for the ground or water from which that food is derived and the community in which it is served. Truth, Love & Clean Cutlery identifies truly exemplary restaurants and food experiences, offering a new, kinder way of choosing where to eat that recognizes the enormous efforts our most caring restaurateurs, chefs and cooks are making to reduce carbon emissions, support their communities, and make the world a better place - plate by plate. Restaurants that care about these things aren't just good... they're good. 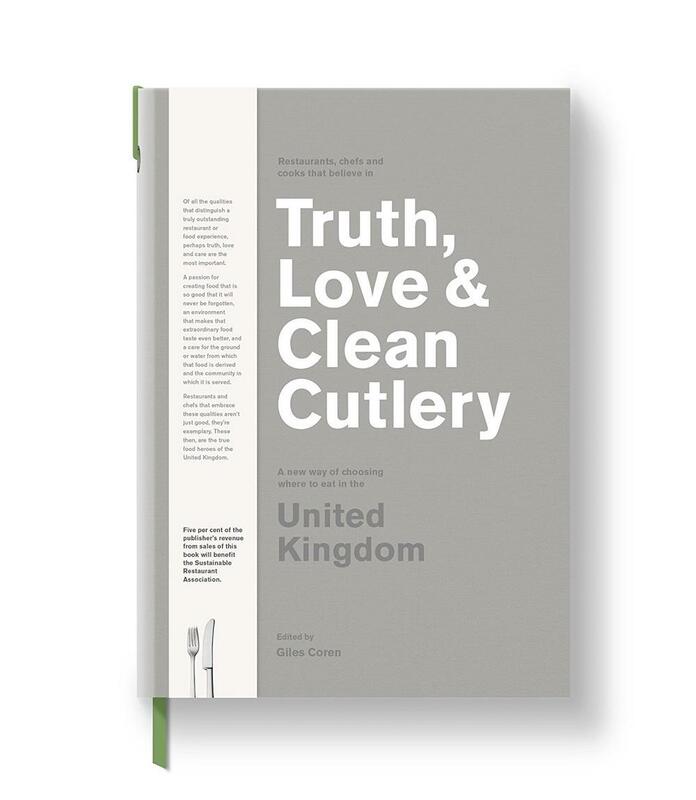 Ten per cent of the publisher's revenue from sales of the Truth, Love & Clean Cutlery UK guidebook will benefit the Sustainable Restaurants Association, a not-for-profit social enterprise, which aids food-service businesses to work towards sustainability and guides customers towards more sustainable choices. The SRA will use this money to support its One Planet Plate campaign, helping diners use the power of their appetites wisely.